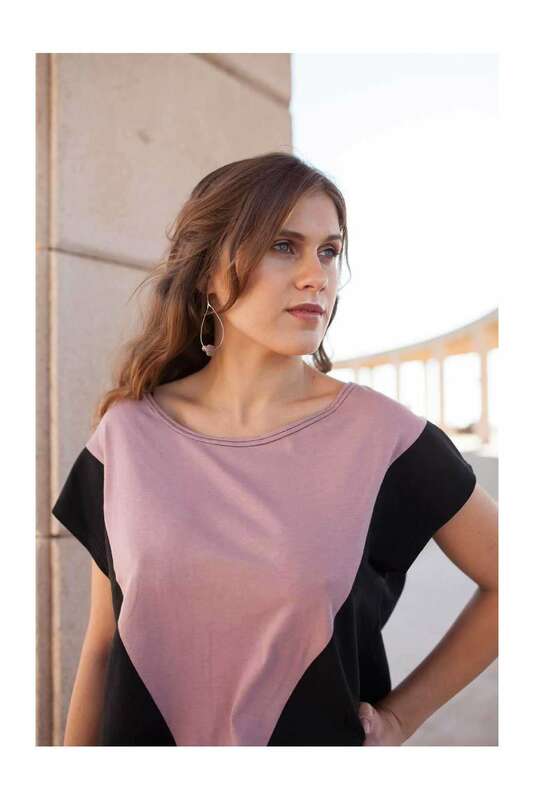 Two tone crop top made in pink algae fabric and organic cotton. Wide shape and short sleeves. Smart look in a sustainable way. Made in soft organic cotton black and contrast pink. Cool shape for this must have eco fashion top.